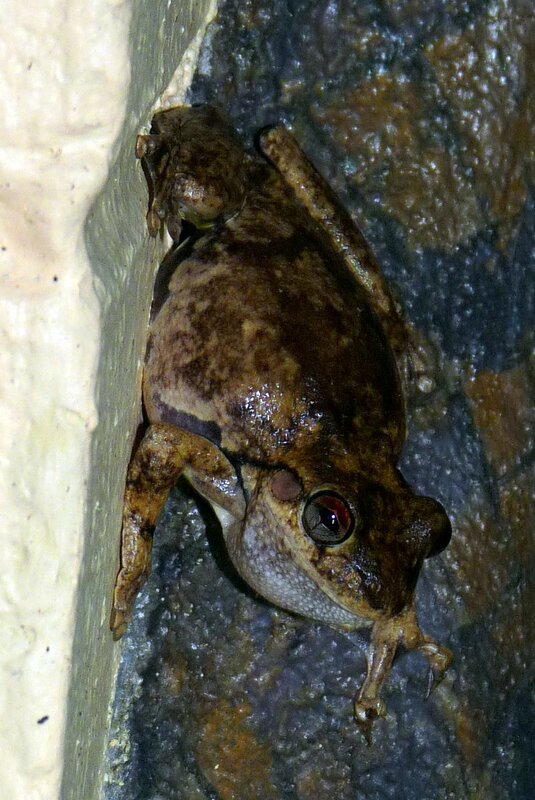 This entry was posted in Frogs, Spiders and tagged Dolomedes, Litoria gracilenta, Litoria infrafrenata, Litoria rothii, Water spiders. Bookmark the permalink. A brilliant finish to an unusual story. 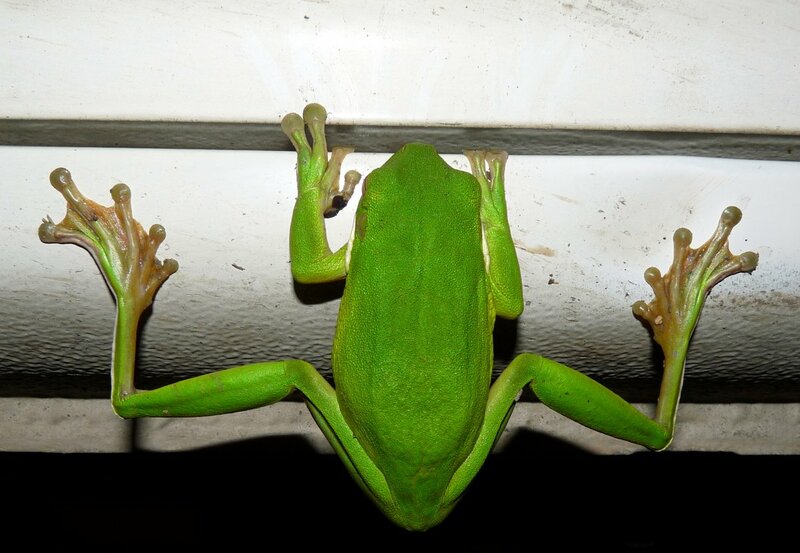 Thanks Denis, it was fascinating to see the spider holding the frog. I am amazed that it had the strength to pull the frog’s body up onto the rock. That’s amazing! 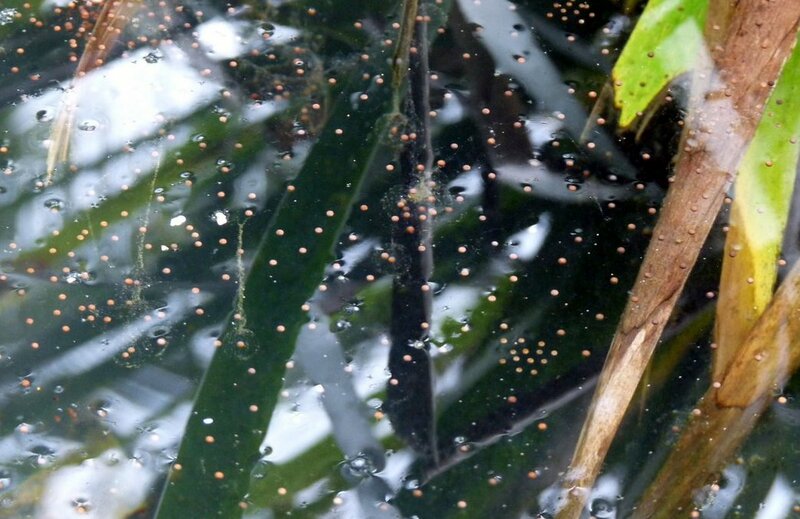 I’ve seen barking spiders (Selenocosmia/Selenotypus) feeding on small frogs (they squeeze them into a neat little package), but that’s an impressive effort from the water spider. How wonderful to see it. Thank you for photographing it. Thanks Bronwen. 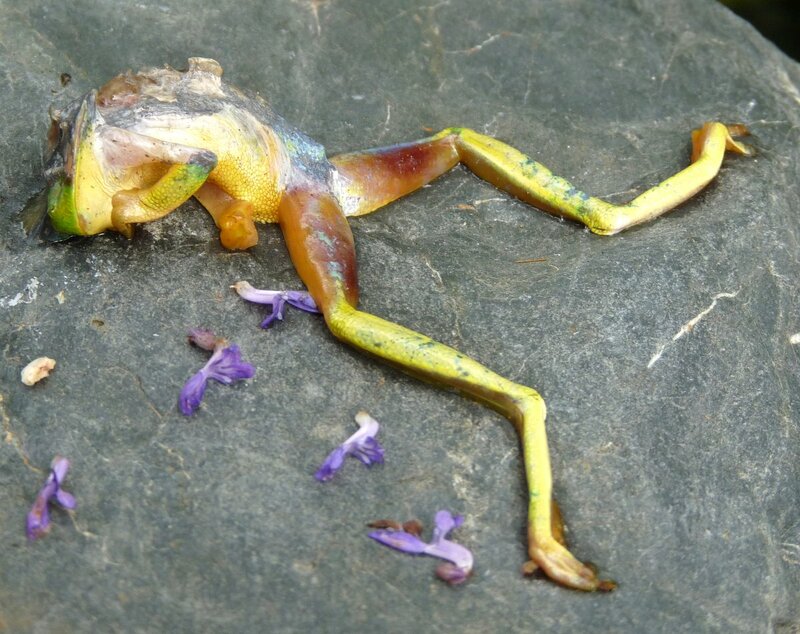 The following night the spider was holding the frog corpse from a leaf and continuing its meal. The next morning there was no evidence of the frog remaining and the spider was looking very well fed! Hi – yeah it’s Martha from fire ridden Victoria. Trying to picture the pond. Is it the pool? Would love to come north and see you guys. Hey Martha – great to hear from you. No, its not the pool, although it could have been as it is now a freshwater pool which functions as a habitat as well as a cooling off pool. No the spider was in the little ornamental pond against the verandah. I’ve been looking at the extent of the fires on incident alert – they’re so scary, are you still at Selby? May I introduce myself to you. My name is Martin Nyffeler and I am an arachnologist affiliated with the University of Basel, Switzerland. 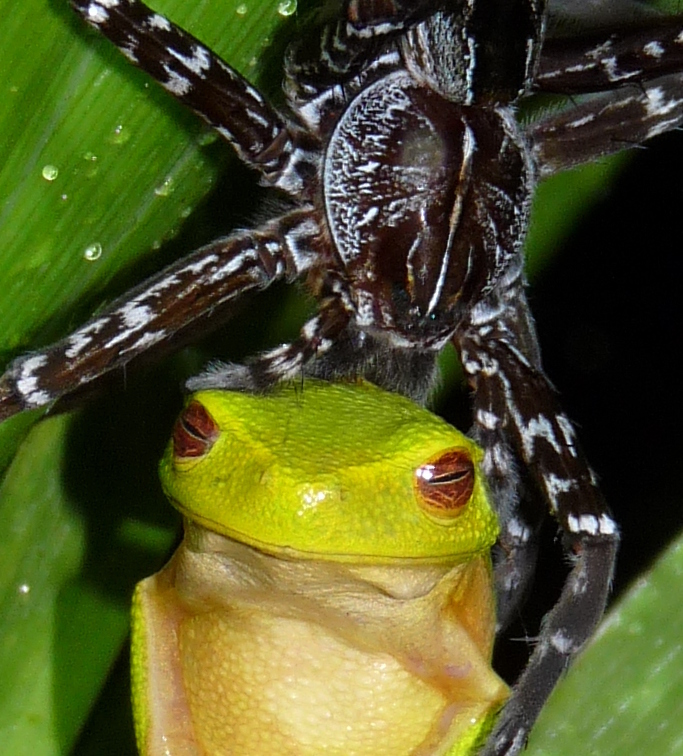 I am currently preparing a scientific paper on frog- and toad-eating spiders, which I intend publishing in an international scientific journal. The reason why I am contacting you is as follows. 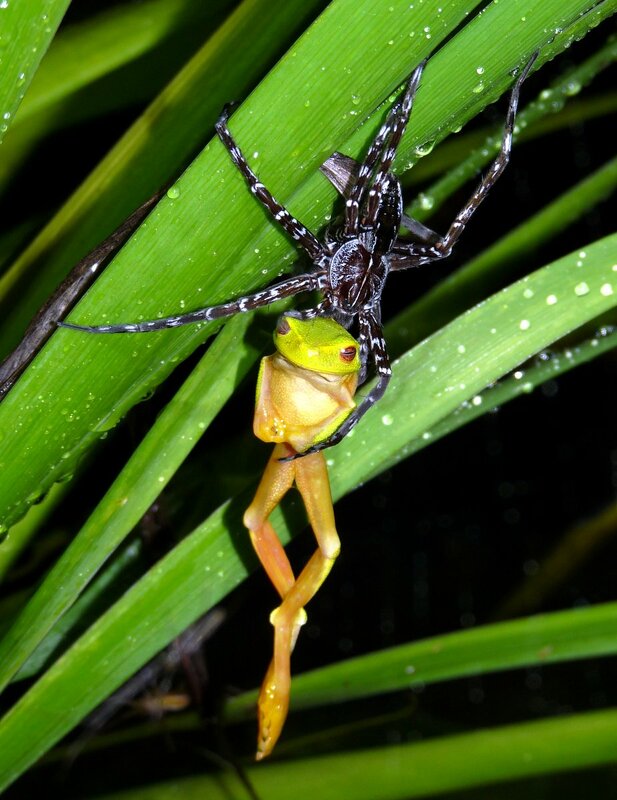 While searching for pictures of frog-eating spiders in the internet, I came across your photos of a fishing spider that is feeding on a graceful tree-frog. I wish to ask you for a huge favor. Would you please give me permission to use your photos in my new publication? It would be great if you would send me high-resolution copies. Of course I would give you full credit for being the photographer who took these pictures by citing your name in the caption below the figures and you would keep the copyright for your photos. I hope to hear from you soon. Thank you for your time and support! Martin, I apologize for my tardy response. I would be happy for you to use the photos and thank you for asking permission. I will follow up via email.